I’d like to quote Charles Dickens on his book A Tale of Two Cities where he wrote “It was the best of times, it was the worst of times.” Most people thought that he was only talking about the French Revolution itself; however, some contend that he may have been referring to the worldwide state of the shrimp industry. It was in a state of decline in the latter years of the 16th century and had it not recovered, we would have had a boring seafood industry today. Well, if you ask me, I’m just glad that the shrimp industry is booming now more than ever! 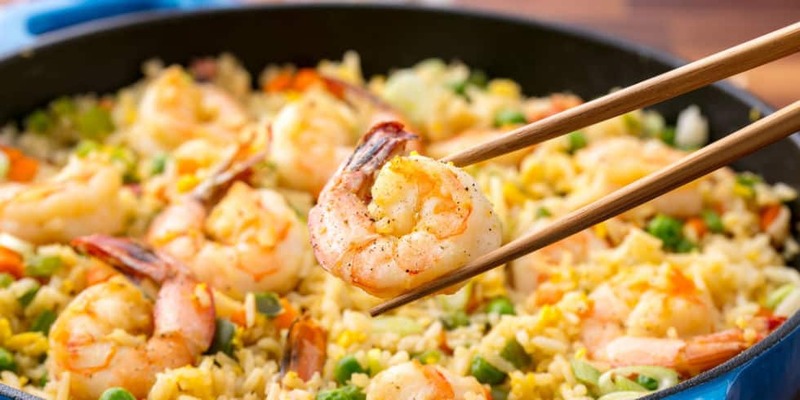 Chefs and regular folks come up with awesome shrimp recipes regularly that you can just look up on the internet, follow the cooking directions and come up with the same exact tasty seafood delight as they did. In a 2015 survey by the National Fisheries Institute (NFI) they found that there have been an 11.11% increase in shrimp consumption by Americans between 2013 and 2014, which sums up to 4.5 lbs. of shrimp per person per year (previously it was 3.6 lbs. back in 2013). I’m very happy that a lot of people are enjoying seafood these days! The shrimp, which is a very succulent delicacy and one of the most delicious crustaceans around, is also a very versatile kind of food to ever grace our dinner plates. 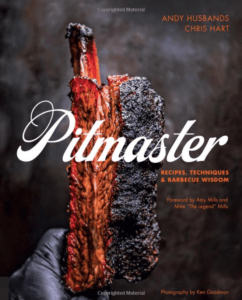 You can grill it, smoke it, and even eat it raw. The shrimp is so obliging that it is one of the few foods that lets you know when it’s cooked or ready to eat – it turns from grayish (almost see-through colorless flesh) into a pinkish white and opaque delicious seafood meat. Practically anywhere you go, as long as it’s a city near the sea (some cities that do not have a bay area purchase seafood including shrimps from suppliers and they get delivered via trailer trucks) you can almost always order a shrimp recipe. You can get smoked shrimp in Denmark, piri piri shrimp in South Africa, tandoori prawns in India, and other similar cuisines in other places. However, there seems to be something stinking in shrimp farms around the world and it’s not just negative publicity, but some very serious implications. News of abusive labor practices, polluted shrimp farms, and industrial packing plants using “unsafe” chemical preservatives. These kinds of news would be more than enough to make you feel like vomiting and never eat shrimp again, but I don’t think just about every shrimp supplier is that bad. You can tell whether a shrimp is good or bad and fresh by its firm meat and sweet taste. Shrimp is also a good source of protein as you can get 18 grams of pure protein for every 3 ounce of serving. It’s also easy to identify a bad shrimp as it tastes like ammonia or chlorine or some other chemicals that not only stink, but are sometimes harmful to human health. Apparently they use these chemicals to clean and preserve the shrimps. Now that you have a couple of history lessons on the shrimp business, it’s time to find out how to purchase them. Your local supermarket won’t tell you whether they are fresh or have no unwanted chemicals on them, so I thought we should. 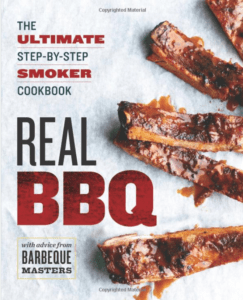 It’s certainly something different if you’re thinking about smoked shrimp instead of the immensely popular pulled pork recipes that are dominating the market right now. Local or Imported: Cities that are on the East, West and Gulf Coast here in the United States are the only ones that have a large local supply of wild and farmed shrimp, the rest of the country heavily rely on imported shrimp. Roughly 90% of the shrimp we eat are imported from other countries and the biggest exporters of these succulent crustaceans are China and Thailand. In some cases, some store owners put up signs on which country the shrimps came from and most of the shrimps are farm-raised as well. Wild or Farmed: In case you have very little choice, but to buy farm-raised shrimps, then try to choose those that have the “Best Aquaculture Practices Label” issued by the non-profit Aquaculture Certification Council. This non-profit organization is dedicated on providing good information to the American people on food safety, especially those that are imported into the country. It is unfortunate to know that some farm-raised shrimps are treated with banned chemicals, antibiotics, pesticides, or other contaminants which are hazardous to your health. Frozen or Fresh: If you live near the coastlines or in the Gulf of Mexico, then there should at least be one supermarket that gets fresh supply of shrimp from fishing trawlers. 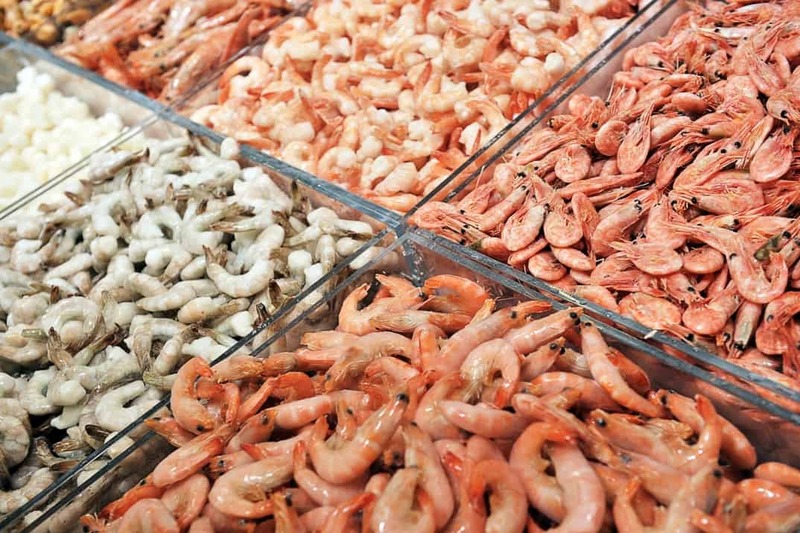 You’re lucky if this is the case, because you’ll have an infinite supply of fresh shrimp daily; however, if you live inland, then you can also buy frozen shrimp and if they’re not imported, then you can be certain that they came from the East or West coast and are shipped to your location. With it’s Head On or Not: Most of you may not like the idea of seeing a shrimp with its head still on while the seafood delicacy has been served on your table; however, you’d be surprised of the benefits it can bring. In reality shrimp heads add depth of flavor to soups, stews, shrimp boils, and mixed grills. Plus the juices in the heads are incredibly tasty too! With or Without Its Shell: Most supermarkets do not have the time to remove the shrimp shells and so you may have to settle with them on. But they’re not that bad at all as they protect the delicate meat from the ice they’re displayed on and also from high temperatures, especially when you grill them. It’s a lot more fun to eat them with their soft shells on, I mean, if you like peeling them off while eating them that is. Japanese restaurants have popular fried peeled shrimp cuisines that really taste good with chili sauce! Shrimp Size: Don’t get carried away by their labels when you’re purchasing shrimps, because it’s better to buy per pound than per size. You may see labels like “small,” “medium,” “large,” “jumbo,” or “extra colossal;” however, these can be misleading sometimes and you’ll be forced to pay a larger amount than what you intended to pay for the shrimps. Tell the vendor that you want the U-10s as this code indicates that there should around 10 large shrimps for every pound of them you’ll get. It’s up to you to decide if you want the shrimps with their heads on or off after that. In my opinion it’s better to buy them with their heads on as they’re great for grilling. As a rule of thumb in buying seafood products always rely on your nose. Check if the shrimp smells fresh or if they have some repulsive odor – it could be ammonia, chlorine, or boat bilge – and it’s not a good sign. Furthermore, if you don’t get fresh shrimp at your local supermarket, then you can also opt to buy online. 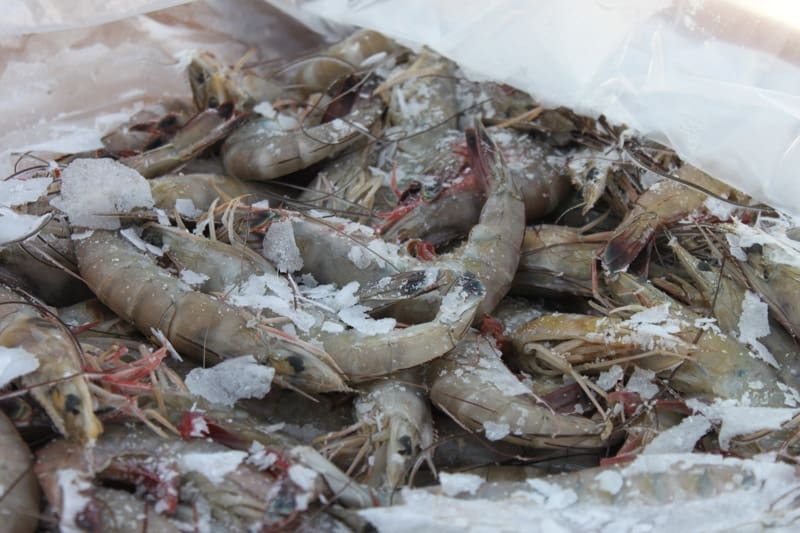 Websites like The Shrimp Farm and Linton’s Seafood are good places to find fresh or frozen shrimps.